Listen to these money podcasts to become a financial whiz. The advent of podcasting truly transformed the way we digest news and entertainment. Now, with the touch of a button on your laptop or smartphone, you can access engaging shows on any subject, from true crime to standup comedy, and listen anywhere — the treadmill at the gym, lounging on the couch or driving the kids to school — all thanks to podcasts. But, with all the amazing content out there and limited time in your schedule to consume it, how do you decide what to play? Instead of spending your morning commute listening to music or cursing under your breath at the bumper-to-bumper traffic, how about investing in yourself? Use the time, whether it is 20 minutes or two hours, to build your knowledge. And, why not focus your learning on the thing we are all striving to have more of and do better with — money? Try one of GOBankingRates’ favorite money podcasts on your next morning commute and learn how to overhaul your finances. Though this is a comedic podcast, don’t let the laughs fool you. As its website points out, this award-winning money podcast is “actually dead serious about financial literacy.” “Stacking Benjamins” is committed to having much-needed, open conversations around money and making learning about personal finance approachable. The show has a long list of contributors, but the voices you’ll hear most are Joe Saul-Sehy — a former financial advisor and American Express and Ameriprise media representative — and “The Other Guy” (also known as OG), a full-time certified financial planner. Other voices include Paula Pant, Suzanne Lucas, a character known as My Mom’s Neighbor Doug and Len Penzo. If you tune in during the right episode, you might also hear from Smart Money Squad member Barbara Friedberg. Kara Perez and Tanja Hester are two friends dedicated to, in their own words, “talking money and taking down the patriarchy.” They aren’t interested in the run-of-the-mill stories from financial pros that get told over and over again on other podcasts. Rather, “The Fairer Cents” explores stories from the marginalized, specifically focusing on tricky topics like how to close the wage gap and dealing with workplace discrimination. People are certainly taking notice of this duo — they were finalists for the 9th Annual Plutus Awards, which is one of the highest honors you can achieve in the personal finance world. 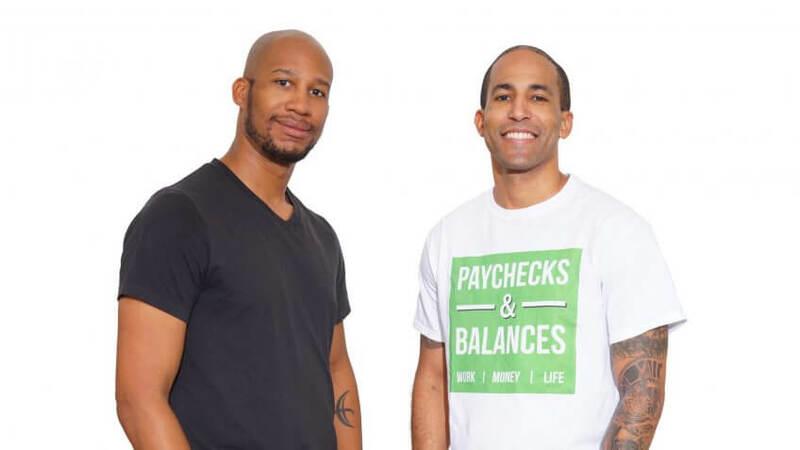 Jonathan Mendosa and Brad Barrett started “ChooseFI” in 2017 for those striving for financial independence, the first and integral part of the FIRE (Financial Independence Retire Early) movement. The hosts know what they’re talking about — Mendosa got himself out of $168,000 worth of student loan debt after graduating from college as a pharmacist and Barrett is a certified public accountant. Their advice centers around eliminating debt, cutting costs and using credit cards to the fullest (i.e., point hacking). The podcast has a passionate following, with a closed Facebook group boasting nearly 30,000 members. They’ve seen such rapid success, in fact, that starting in 2018, they began hosting CampFI — three-day, FI-focused retreats for those really looking to dig in. They offered six camps in five locations across the country and each camp accommodated 60 ChooseFI enthusiasts. Money podcast “The Tim Ferriss Show” consistently wins awards and tops the iTunes charts — and for good reason. The show is built around interviews with some impressive names, including Tony Robbins, Arnold Schwarzenegger, Arianna Huffington, Whitney Cummings and Malcolm Gladwell. 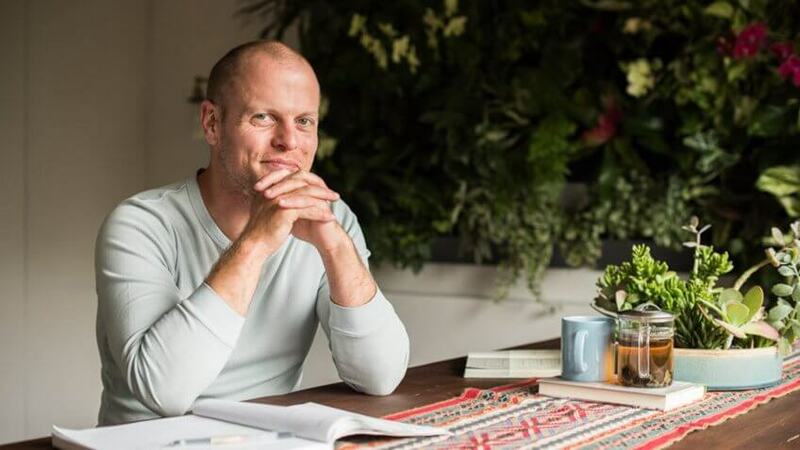 Host Tim Ferriss has open, positive conversations with his guests about their routines, habits — even diets — to better understand their success, and gives listeners something to apply to their own lives. Surprisingly, what makes the show successful isn’t that it relies on big-name talent, but that host Tim Ferriss is so likable and interesting — he’s not only an author and investment pro, he speaks five languages, is a kickboxing champion and horseback archer and even nabbed a Guinness World Record for tango. Now that’s a diverse portfolio. In their books “Freakonomics,” “SuperFreakonomics” and “Think Like a Freak,” Steven D. Levitt and Stephen J. Dubner explore “the hidden side of everything,” telling stories about cheating schoolteachers and eating champions while teaching us all to think a bit more creatively, rationally and productively. The “Freakonomics” podcast, hosted by Dubner, carries on that tradition with weekly episodes. Prepare to experience a vast array of emotions — you’ll be enlightened, engaged, perhaps enraged and definitely surprised. Host Farnoosh Torabi is an award-winning financial strategist, TV host and best-selling author. Her show, “So Money,” brings inspiring money strategies and stories straight from today’s top business minds, authors and influencers right to you. Hear from people like Tim Gunn, Jillian Michaels, Margaret Cho and Suze Orman as they share their individual financial journeys and what they’re doing to master their money today. They get candid about their financial philosophies, wins, failures and habits — plus, their secret guilty pleasures. Ever heard of Side Hustle Nation? If not, you’re missing out. The site, created by entrepreneur Nick Loper, is built around the idea that you can have a full-time job and also work a side gig (or two, or three … ) in order to reach your goals. That’s exactly what Loper did, and it allowed him to launch his business, which now includes “The Side Hustle Show.” The podcast has featured an impressive list of entrepreneurs who have shared their side-hustle tips, from hiring freelancers to better understanding customers. If you want to tune in but don’t know where to start, they’ve curated playlists for you based on interest. “Lessons From Self-Made Millionaires,” “Successful Women Who Are Seriously Killing It” and “Money and Your Family” are just a few. Part of Macmillan’s Quick and Dirty Tips Network, the “Money Girl” podcast provides fittingly short, friendly tips around personal finance, real estate and investing. 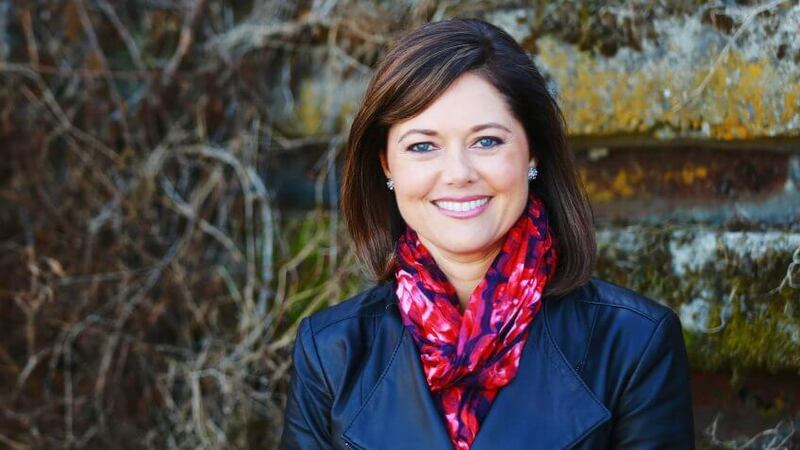 Host Laura Adams (aka Money Girl) has a passion for making complex financial topics easy to understand and, as such, gives advice that feels completely relatable and actionable. She draws inspiration for her episodes from everyday conversations with friends, as well as listener questions, social media and current events. Whether you’re a beginner or an investing pro, Money Girl will point you in the right direction. Flynn also interviews a variety of people on his show, from smaller (but still successful) business owners to industry leaders. They share the stories of their own successes and give tips on how to create passive income streams and ultimately gain the freedom to do what you love. Joshua J. Sheats is a no-nonsense financial advisor with a wealth of knowledge to share. If you’re looking to graduate from basic personal finance podcasts, “Radical Personal Finance” might be right for you, as it focuses on “in-depth content and Master’s degree-level education delivered to you as a comprehensive curriculum of financial knowledge.” Sheats covers a wide array of topics from life events (marriage, buying a home, having children, etc.) to stages of financial independence — all with the aim to help you build wealth and live the life you’ve always wanted. David Stein has one goal: help people retire through investing. His podcast, “Money for the Rest of Us,” is a sounding board of sorts for investors who want to ensure a cushy retirement but might not have a support system. He recognizes that reading the financial markets can be a tricky business, and investors need a community around them to reaffirm that they’re doing the right thing and avoiding poor investments. So, through stories and easy-to-understand examples, Stein takes roughly 40,000 listeners per episode on a journey to better understand their money, the economy and the markets. If you’re a millennial looking to get out of debt and start making and saving money, “Paychecks and Balances” has you covered. Co-host Marcus Garrett knows all about this concept personally, having climbed out from under $30,000 worth of debt before he hit age 30. Rich Jones, the show’s other half, has worked in human resources and recruiting for the better part of a decade, so he brings extensive career knowledge into the mix. Together, these guys answer your toughest money questions, such as “Should I buy my first home or save more money?” They also have on money experts who share their tips and stories for living your best life. Paula Pant, who you might recognize from the “Stacking Benjamins” podcast, has her own very successful podcast, “Afford Anything.” As the name suggests, Pant firmly believes that you can afford anything — but not everything. She wants you to slash those unnecessary items from your budget and hustle like crazy until you reach financial independence. That’s what she did. Pant is now a world-traveling real estate investor with passive income streams that have her set for life. She’s not beholden to a paycheck and wants to help you break free, too. Click through to read more about six bloggers who earn six-figure salaries. Giving back shouldn't break the bank.